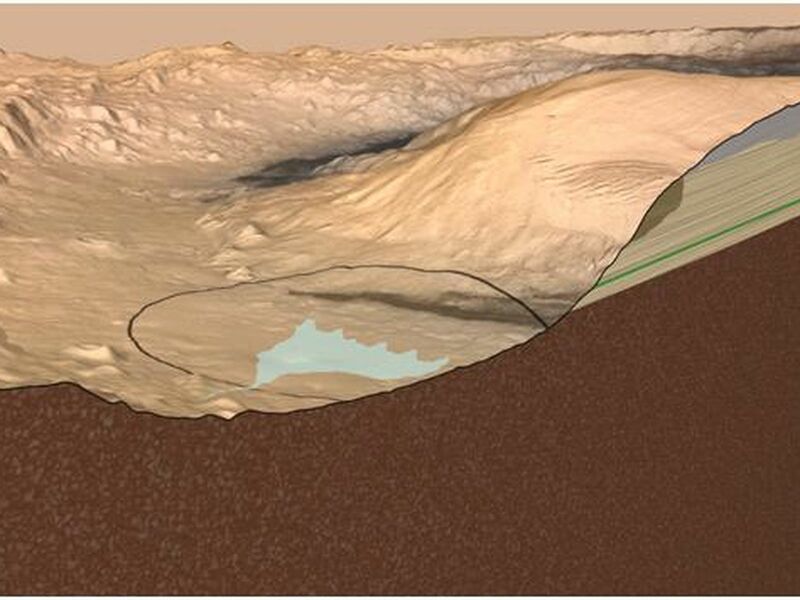 This artist's impression Mars' Gale Crater depicts a cross section through the mountain in the middle of the crater, from a viewpoint looking toward the southeast. The rover Curiosity of NASA's Mars Science Laboratory mission will land in Gale Crater in August 2012. The landing area is on or near an alluvial fan indicated in blue. 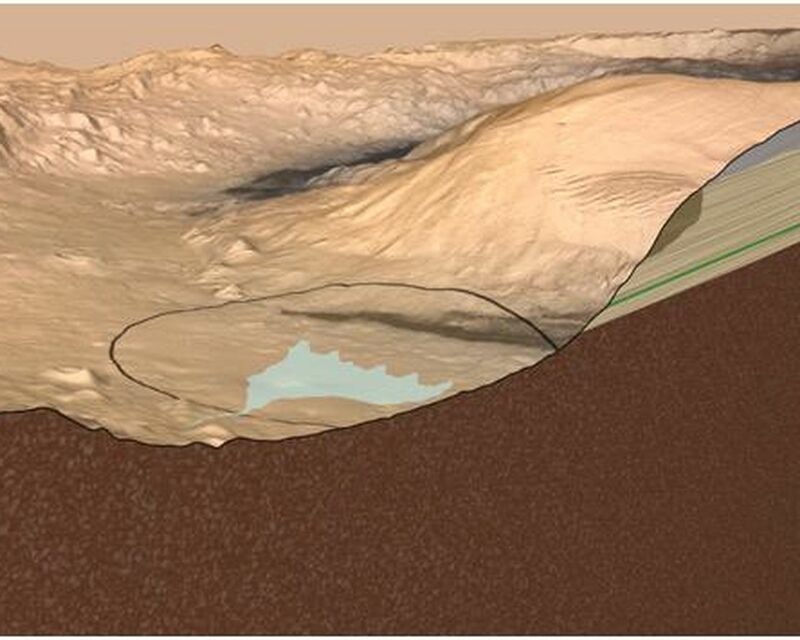 A key factor in selection of Gale as the mission's landing site is the existence of clay minerals in a layer near the base of the mountain, within driving range of the landing site. 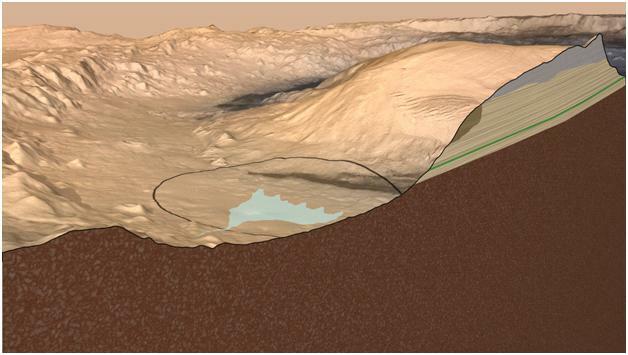 The location of the clay minerals is indicated as the green band through the cross section of the mountain. 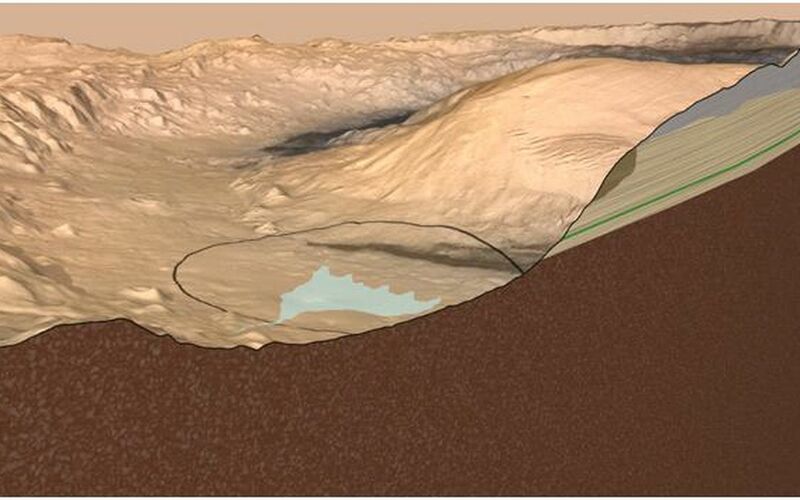 The image uses two-fold vertical exaggeration to emphasize the area's topography. The crater's diameter is 96 miles (154 kilometers).